Beautiful days in the South mean big blue skies, big fluffy white clouds and a big yellow sun. 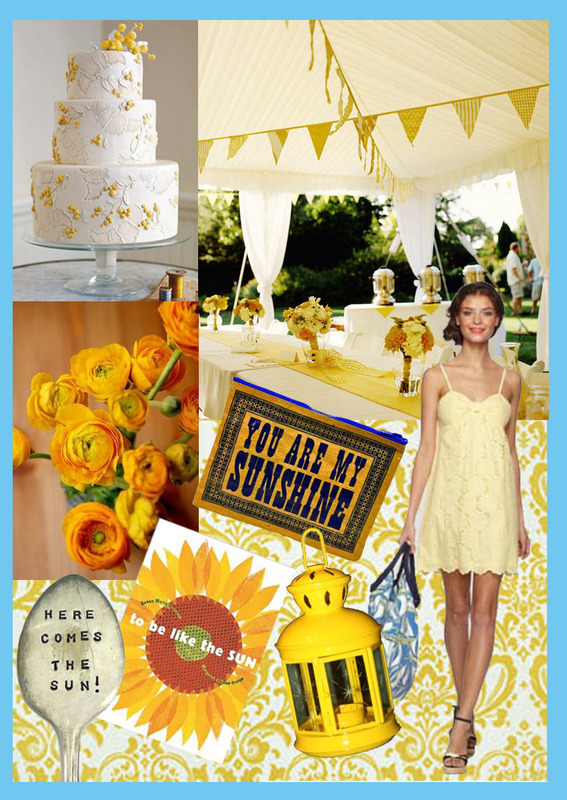 Yellow is one of the happiest colors around and we created this inspiration board with the summer sky in mind. A simple white cake with perfect yellow accents – yes please! And the yellow bunting in different simple yellow patterns really provides a simple white tent with a lot of personality. The bridesmaids could wear these versatile Kelley Eyelet dresses by Lilly Pulitzer. We would fill the ‘You are my sunshine’ bags with lip gloss and other small fun gifts they could use for the wedding. They along with the bride could carry white and bright yellow ranunculus. The yellow and white patterned damask table runners (used as part of the background) are dressy while still being bright and fun. We would use them with these vintage imprinted silver spoons as table markers or name cards. We love the idea of using this children’s picture book to be like the sun as a guest book. For favors and decor these small yellow lacquered lanterns are sure to make a statement alone or clustered in a group. Well here we are in July and ‘Baby it’s HOT outside!’ If you want to get married in the South in the summer you need to be prepared for the heat. Not just uncomfortable heat – but heat that can downright ruin your special day. 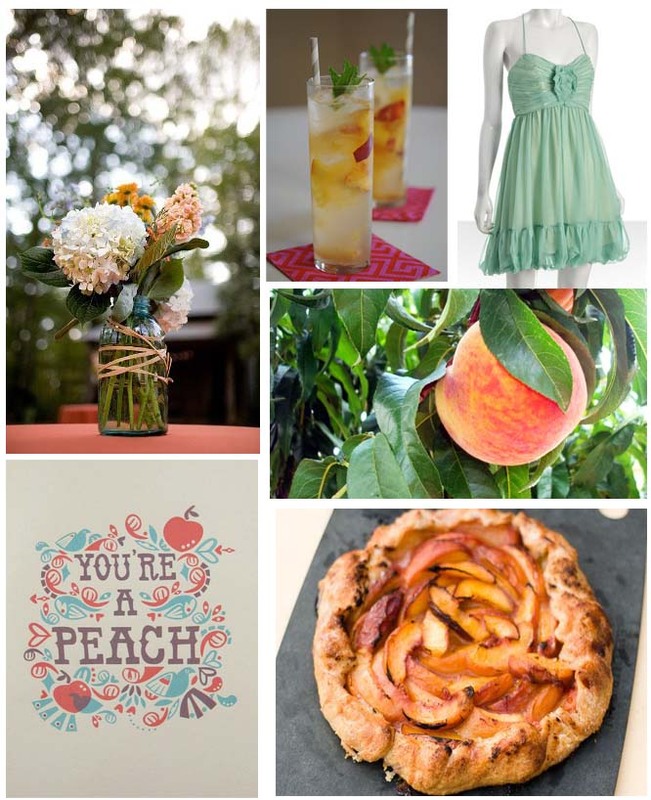 Here are a few ideas to help you and your guests beat the heat for summer weddings! Firstly, and this seems obvious – if at all possible get married inside. But even if you are inside, remind your event planner to make sure the air conditioning is cranked up in the church and reception site. Large rooms require a longer amount of time to cool and once crowded with many people get hot quickly. BUT – If your dream wedding site is outside, or even if you have pictures taken outdoors, below are tips to help make the event a pleasant time for all. The last thing you want people to remember about your wedding is the heat! Products can be found at your local store or department store. Fans are available online. Consider your Guests Beforehand – If you have elderly grandparents who will be attending your wedding, babies or people with other fragile health issues that do not do well in extreme heat, make sure to take all precautions to make sure these people are comfortable. No one wants their special day to be interrupted due to heat induced illness. Hydrate – Make sure you and your attendants drink plenty of water the day of the wedding. Provide a beverage station for guests with ice-cold tea, lemonade and water so that they may have a cold drink before the wedding and a place to retrieve one immediately after. Find a breeze or make one – Provide your guests with fans whether they be handheld or electric. A paper or straw fan is a great way to add a personal touch to the wedding and can be kept as a memento or used as a favor for guests. Dress accordingly – Cotton is still King in South because it breathes! There are so many options for cotton or linen dresses for bridesmaids and suits for men. For bridesmaids consider a shorter dress which will be cooler as well as a color and fabric that will not show perspiration. If groomsmen are wearing tux’s or suits, let those boys lose their jacket after pictures. I am sure the rental company and or their dry cleaners will thank you. Keep blotting sheets on hand to dab temples and necks. We don’t want to glisten too much in those pictures. 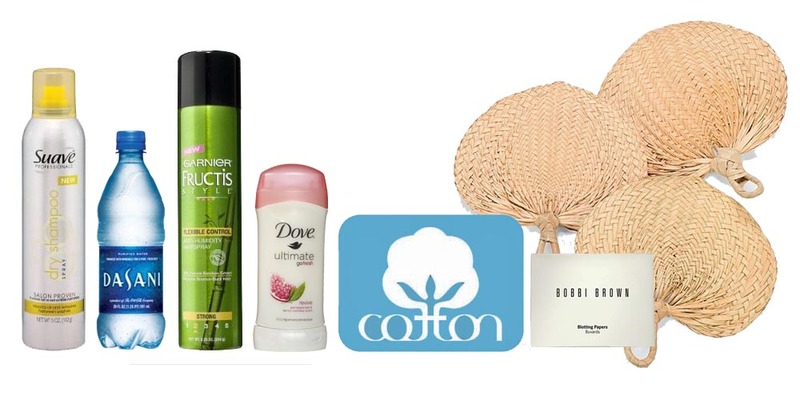 Have dry shampoo and hairspray on hand to revive humidity ravaged hair. Secure a place or fan just for the wedding party to cool off. An air conditioner floor grate for the bride to stand on can be a life and dress saver. We know one bride who got so hot she had her planner just cut her crinoline out in the bathroom! Bring perfume to give yourself a spritz after freshening up. Have sunscreen and bug spray on hand just in case! We hope this information might assist and would love to know how do you beat the heat? Do you have any ideas to share on how to stay cool during the summer?